The story: S.H.I.E.L.D. agents Phil Coulson and Jasper Sitwell meet to discuss ways to block an order from the World Security Council to place Emil Blonsky, the Abomination, on the still-forming Avengers. They eventually settle on sending “The Consultant,” a.k.a. Tony Stark, to make the request; Stark pisses off Blonsky’s keeper, Gen. Thaddeus “Thunderbolt” Ross, so badly that he pledges to keep the Abomination under lock and key. 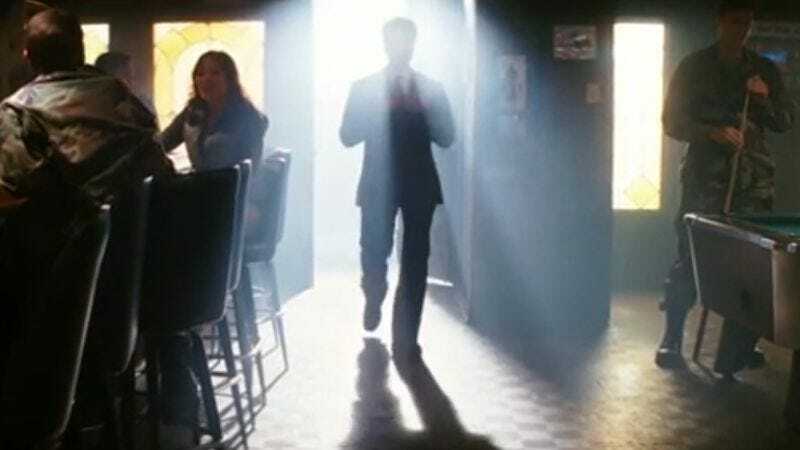 Noteworthy events: The Consultant was the first of Marvel’s “One-Shots” series of short films, which usually pop up on the Blu-ray releases of the studio’s various films. It’s also the first bit of Marvel media to focus directly on Phil Coulson, helping to set up his big role in The Avengers and Marvel’s Agents Of S.H.I.E.L.D.